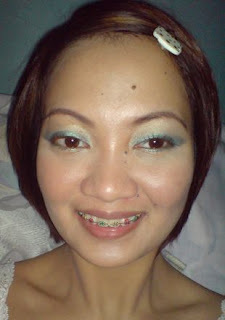 anyways, i've used TM pigments in twinkle (inner lid), fiji beach (outer lid) and elianto e/s for highlight. 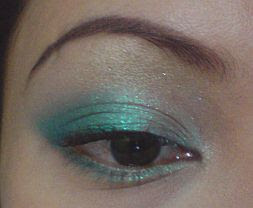 i also used the two TM pigments to line my lower lids. 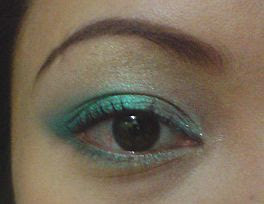 if you'd notice, it looks like both pigments are of shimmery green shade. but if you'd see Twinkle in the pot, it appears white but when applied it shifts to a turquoise shade with heavy sparkles.